Offer price £8 when you order by 07/04/2019. Offer subject to availability. Maximum 20 promotional items per customer. 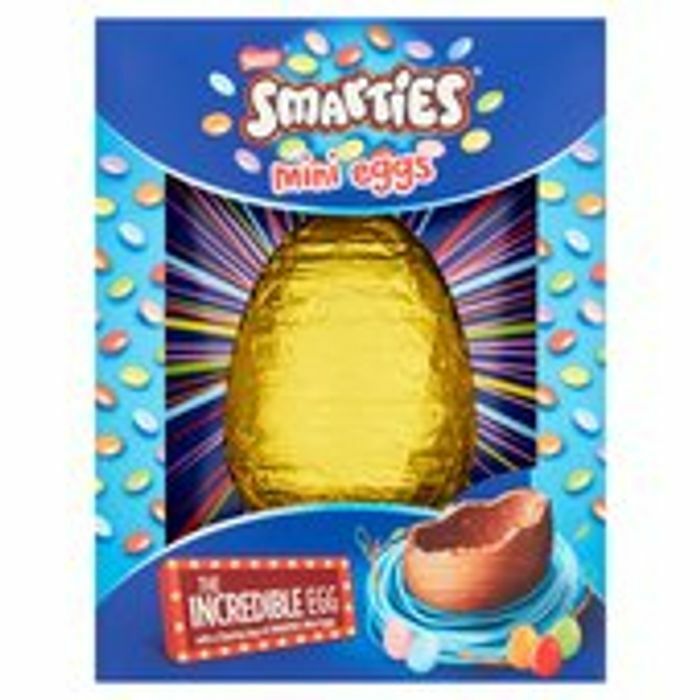 The SMARTIES® Incredible Egg is a giant milk chocolate egg with mini Smarties inclusions and a bag of Smarties mini eggs to share.